Field supervision is paramount in security services of any type. ATS supervisors include lieutenant Harry "THE CAT" Urbanski. Our field performance evaluator. Mr. Urbanski came to us with a very diversified background and years of security experience. In brief, Mr. Urbanski served in Hartford Conneticut as a deputy sheriff for over 10 years and was assigned to protection duty for many politicians and entertainers. Later he became a personal bodyguard for Senator Tom Dodd. 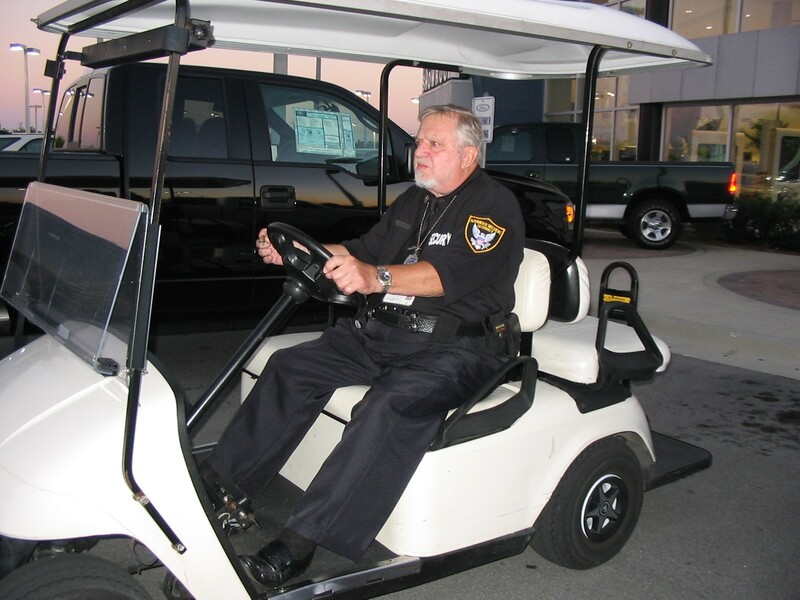 Mr. Urbanski moved to Daytona Beach Florida and for 10 years served as VIP security for NASCAR drivers at the Daytona Beach International Speedway. Harry Urbanski also known as Harry the Cat, shares with new recruits his skills and techniques in undetected observance. His skills have gained him a record of the most arrest. The majority of those arrest were vehicle theft attempts at local dealerships and retail centers. The most common phrase Harry hears from captured thieves is " Where did you come from!" We are very pleased and fortunate to have Harry on our team.